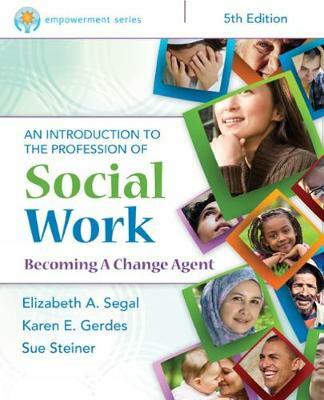 Segal, Gerdes, and Steiner's AN INTRODUCTION TO THE PROFESSION OF SOCIAL WORK introduces readers to the social work profession and describes the role of social worker in the social welfare system. Through case studies, personal stories, and exercises, this social work text helps readers apply the concepts and truly understand what it means to be a social worker. Part of the Brooks/Cole Empowerment Series, the fourth edition is completely up to date and thoroughly integrates the core competencies and recommended practice behaviors outlined in the most recent Educational Policy and Accreditation Standards (EPAS) set by the Council on Social Work Education (CSWE).